A crawl space can become a mess of soiled materials, mold, and moisture. When the proper airflow is disrupted by torn insulation, a corrupted vapor barrier, or insect and vermin activity, the finely-tuned environment becomes off kilter. 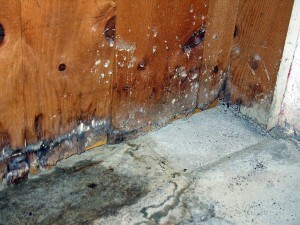 Once that happens, moisture is allowed to accumulate and mold and decay sets in. It is important to have the space cleaned out before the damage worsens and spreads. 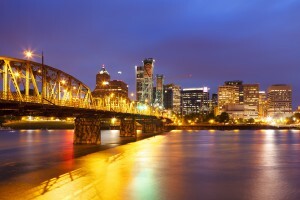 The Killers Crawl Space Restoration expertly handles crawl space clean out in Portland and surrounding cities. Ruined crawl space materials can quickly lead to damage throughout the building materials under a home. They can even get up into flooring inside the house. Additionally, the bacteria, spores from mold, and allergens can get into ventilation inside a home and create a health hazard. While your crawl space may be out of sight, it should not be out of mind. If you have not had an inspection of your crawl space in recent years, it is recommended that you get an assessment of its condition soon. What are the benefits of a crawl space clean out? Crawl space clean out needs to be done responsibly and requires specific knowledge of crawl space ventilation and health. Cleaning out soiled and moldy materials can be dangerous. It requires specific safety equipment and proper disposal methods. When non-professionals attempt to clean crawl spaces on their own, it results in the inadvertent spreading of mold spores and possible inhalation of hazardous bacteria found in insect and rodent urine and feces. It is important that this work be done by experienced crawl space professionals. Sealing the area to reduce the risk of future insect and rodent infestation. We deliver full-service crawl space clean out and restoration services. As a locally-owned business, we have been an appreciated part of the community for over two decades. In that time, we have earned our reputation for quality customer care and excellent crawl space services one customer at a time. Contact us today for an inspection. Don’t put off your crawl space clean out in Portland. Letting the damage spread can wreak havoc on your home or business.